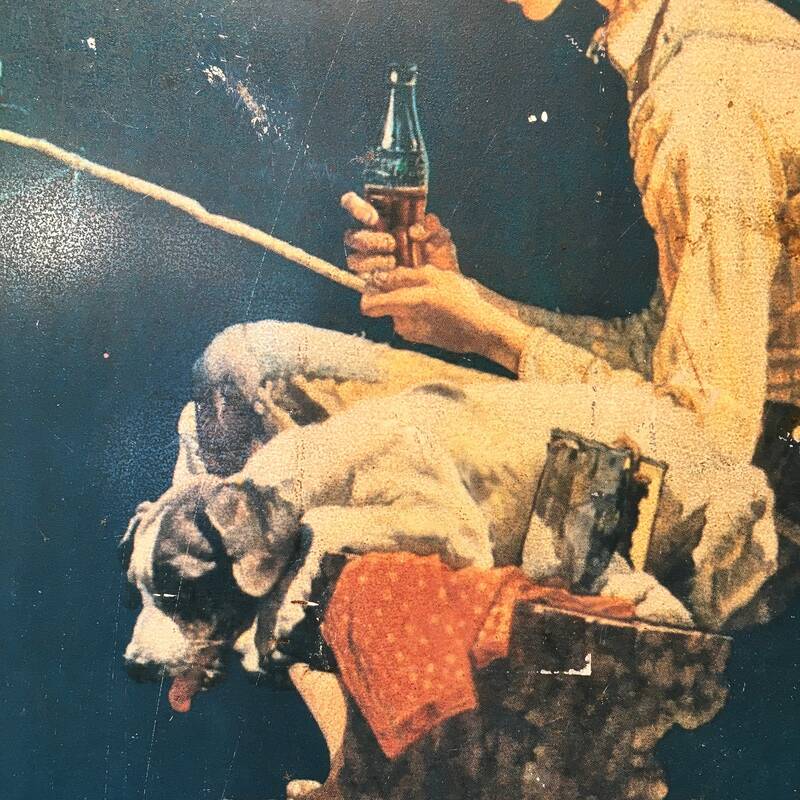 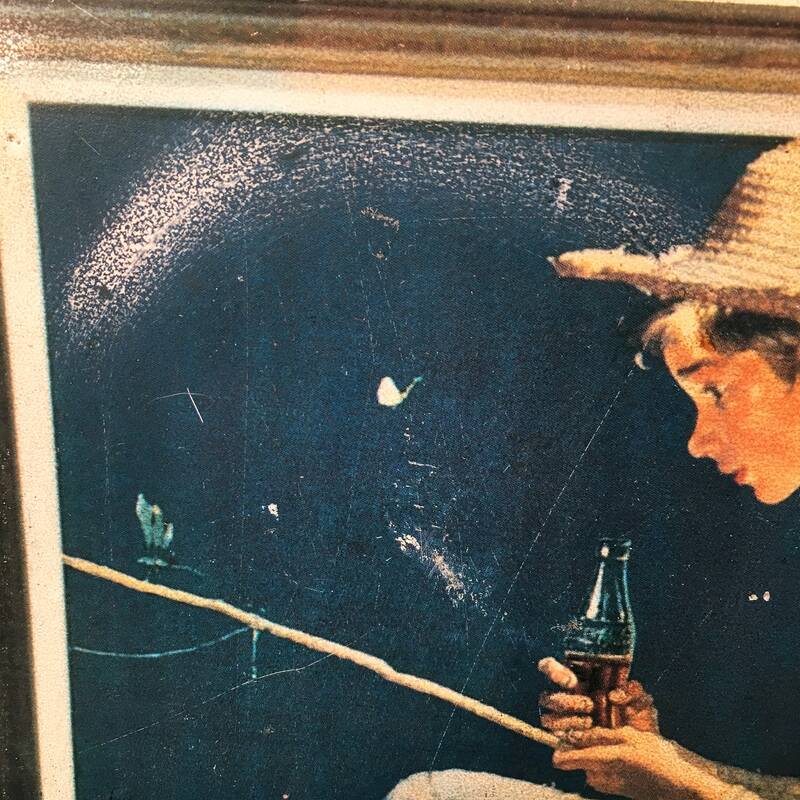 Vintage Coca-Cola sign of a boy sitting on a tree stump fishing with his dog. 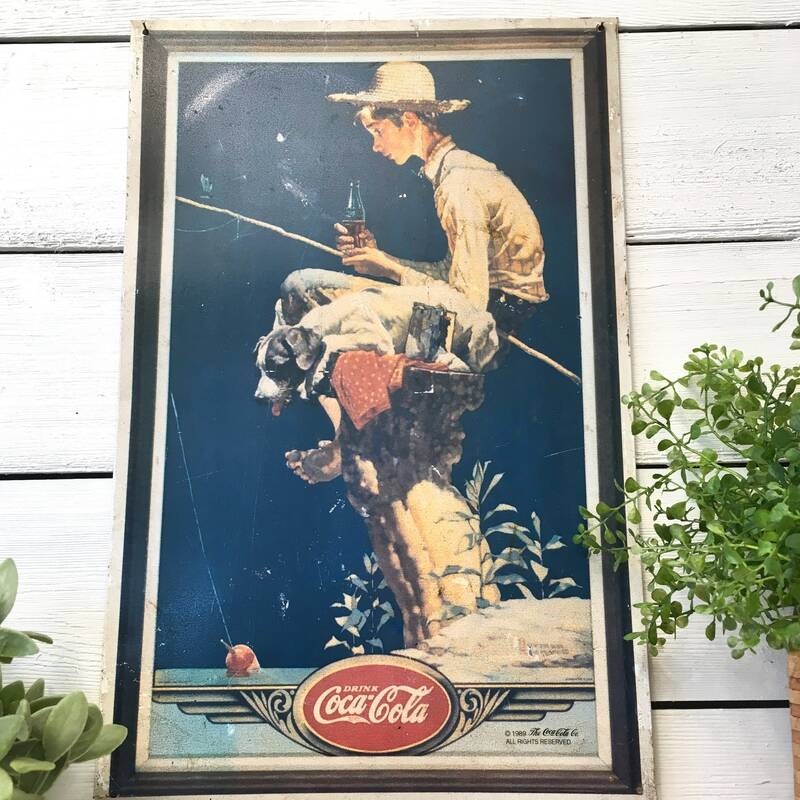 This is a tin sign with sweet Norman Rockwell art used for advertising Coca Cola. 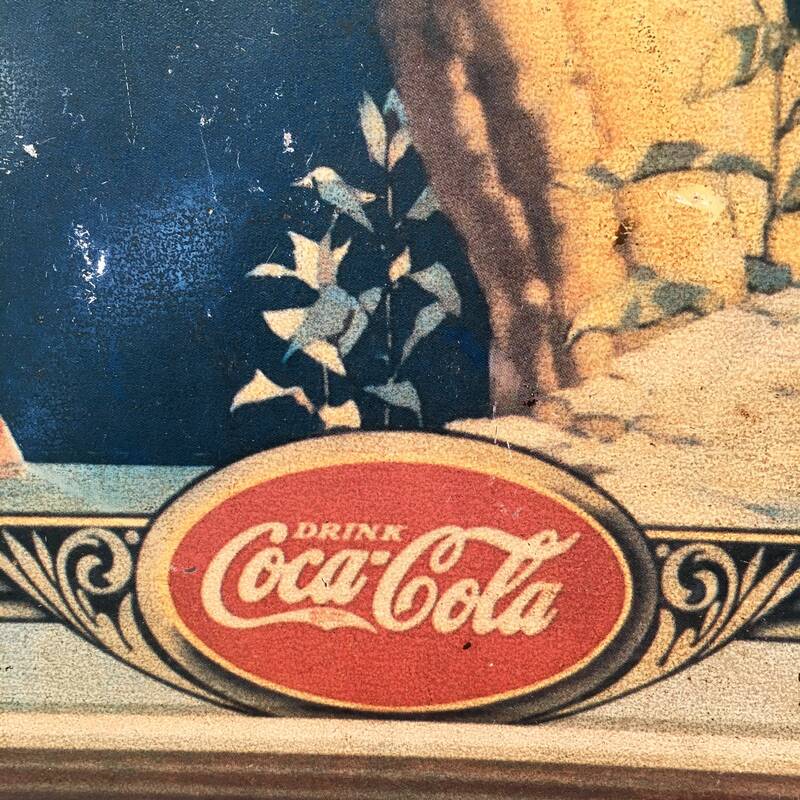 The background color is a dark blue with other colors of cream, black green and red and the traditional red of the oval Coca Cola emblem on the bottom of the sign. 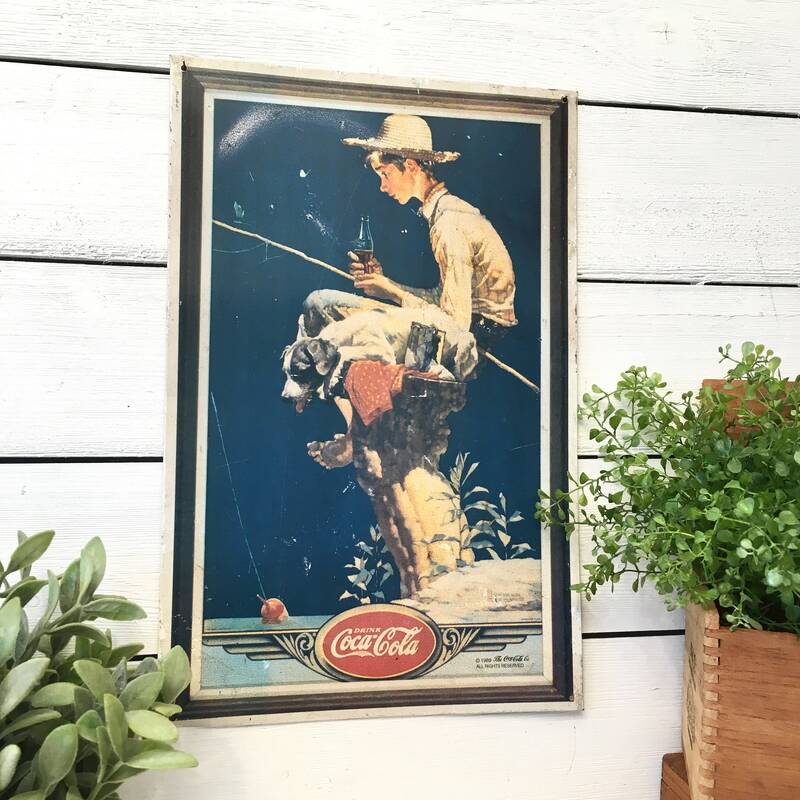 There are four holes for hanging, one in each corner. 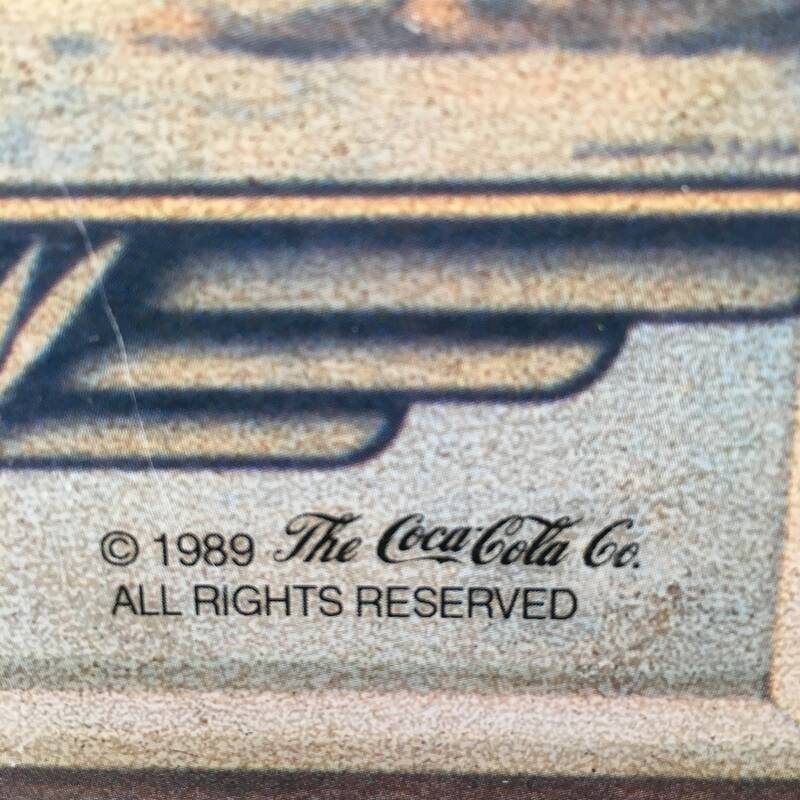 The sign has the normal wear of a vintage item with some paint loss, scratches and rust. 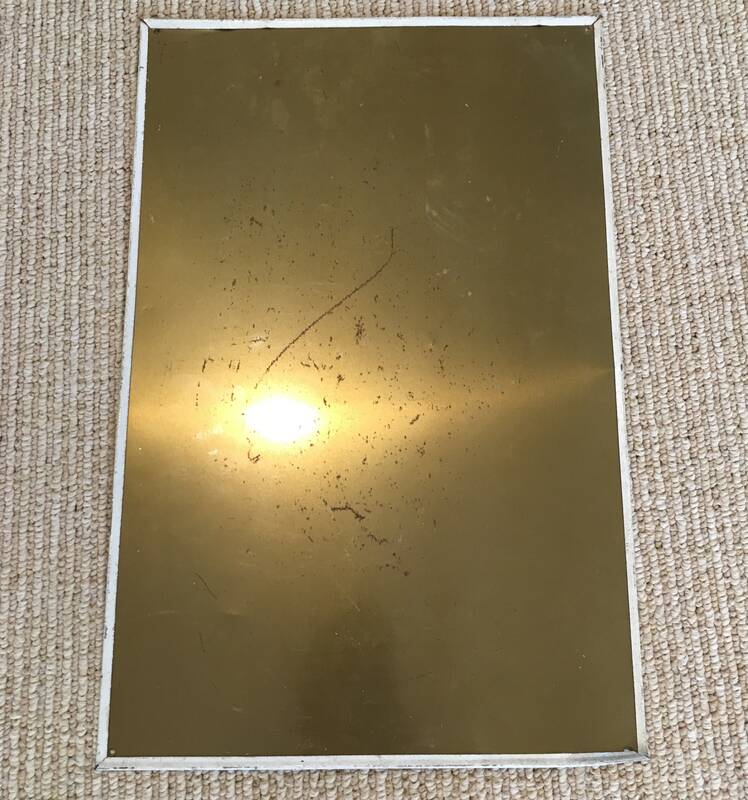 The back is a gold color with some scratching. 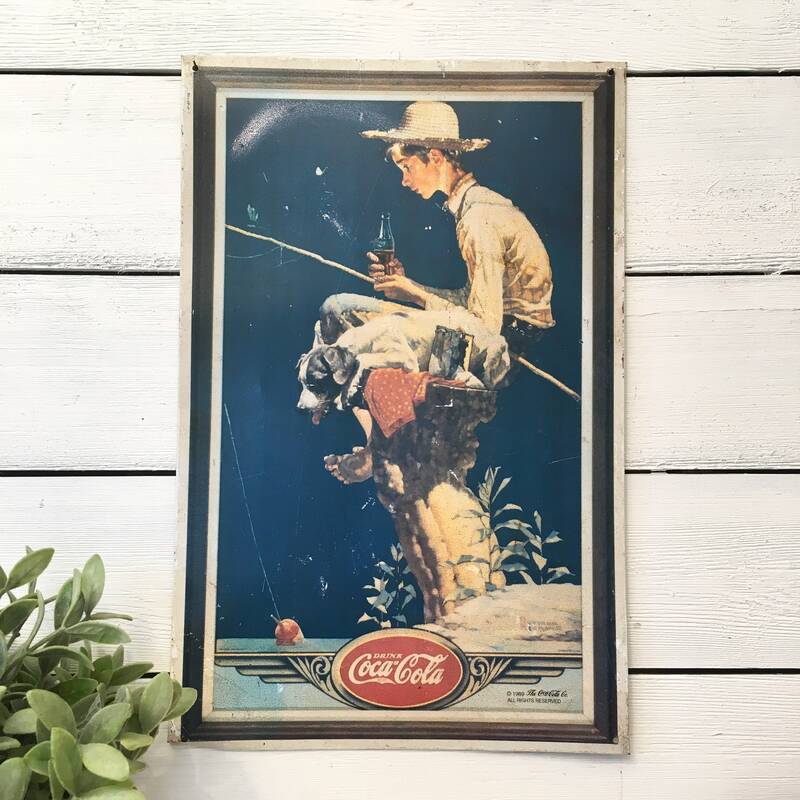 If you like vintage signs or vintage advertising, this is a nice piece to add to a collection. 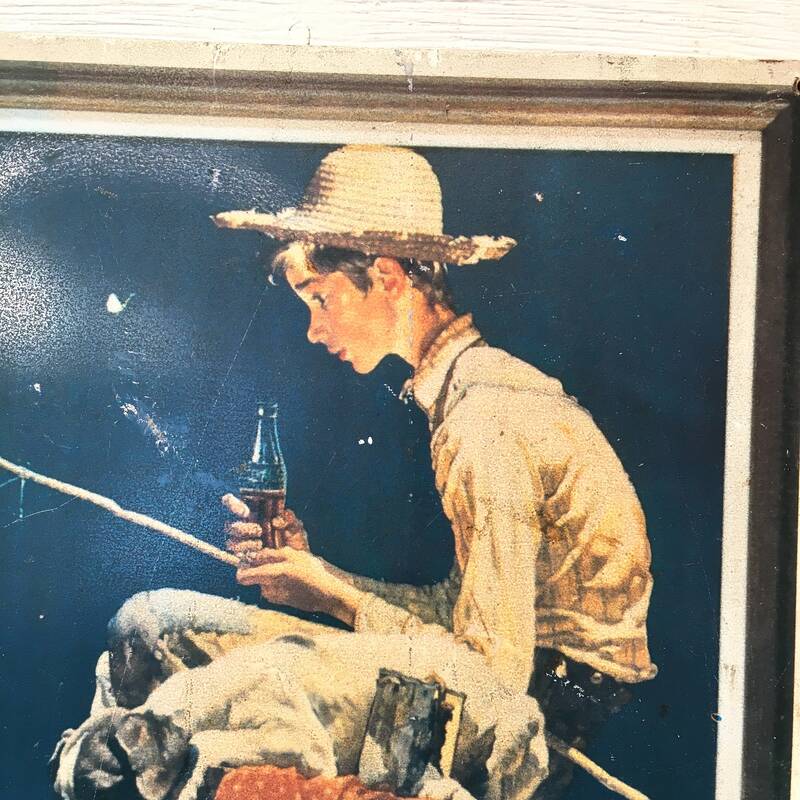 The sign measures 16 inches by 10 1/4 inches.